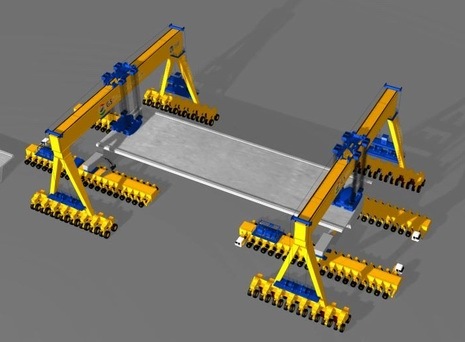 DLT straddle carriers are intended for use on construction sites and assembly yards for the movement of heavy precast or prefabricated items such as bridge deck beams or precast bridge foundations and piers. DLT straddle carriers comprise a portal crane mounted on multiple axle lines of pneumatic tyres and combine the benefits of an overhead goliath crane with the manoeuvrability of a multi- axle steerable transporter. 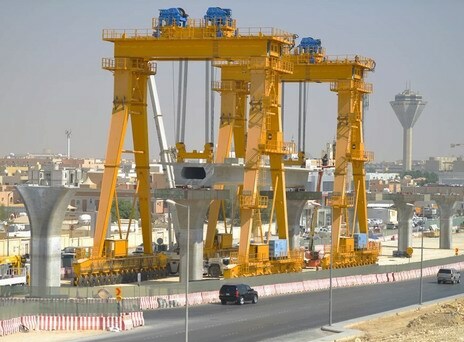 A single straddle carrier is able to do the work of multiple rail based cranes and skidding/transport systems due the high manoeuvrability, and therefore offer a very economic solution. DLT straddle carriers are able to steer in any direction, and are able to turn the axles through 90 degrees whilst fully loaded for a 90 degree on the spot direction change. 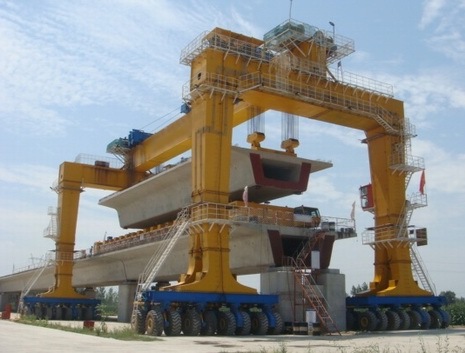 Multiple straddle carriers can be used together to handle long loads, with central control. The axles of the straddle carrier are hydraulically linked for even loading and are articulated to cope with uneven ground without generating additional loads in the tyres. 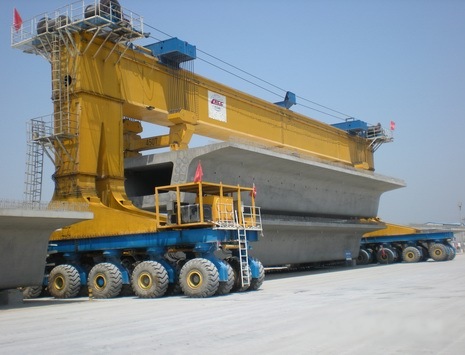 Typically the straddle carrier will exert a general ground bearing pressure of 10 to 15 tonnes/m2 and a local contact pressure under the tyres of 0.4 to 0.6 MPa. 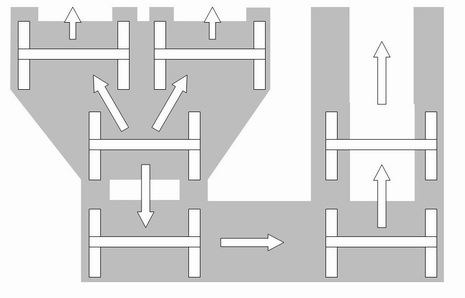 On a typical site the ground preparation needed under the straddle carrier running route will be a layer of compacted crushed rock or a reinforced concrete ground bearing slab.